If you could backup your computers without any fuss, would you do it? 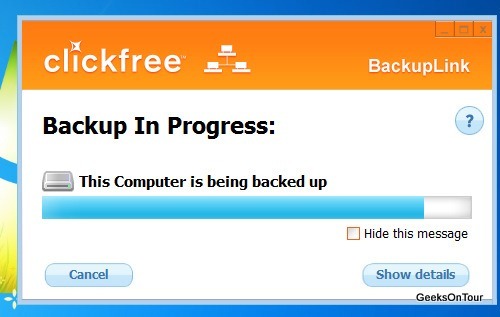 We’ve told you to backup, but do you? Everyone knows you are supposed to backup your computer. Backing up your files requires effort and organization. Right? You had to know which files to backup and where they were on your hard drive. Some programs have their own backup utility. Then, what do you use to hold the backup? CD? DVD? USB thumb driive? The Cloud? Yes. 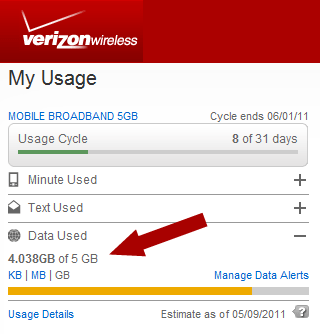 You need to back up in order to recover from a catastrophic loss of data. Like if your computer crashed or was stolen. Multiple backups in an offsite location are best. That is one reason “Cloud” or Internet based backups are popular. I prefer to make my own backups. I still archive my important data onto DVD disks and store them offsite. Backup software has become less of a chore and disk capacities have increased, but you still need to configure the program. 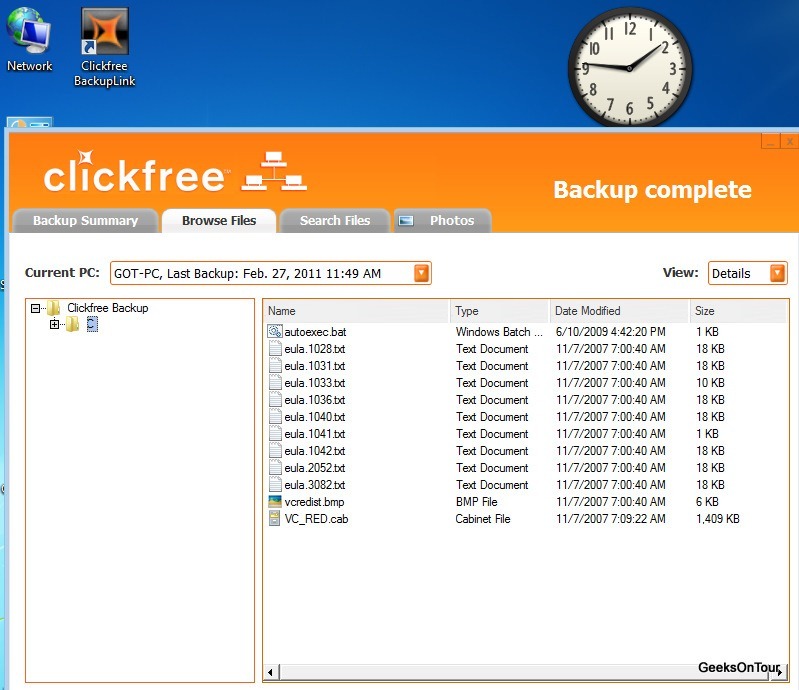 Backing up your important files is so easy now with a Clickfree backup. Unpack the drive and plug it in to the computer. Some embedded software wants to install on your computer. It’s OK. Accept the end user agreement, and you are done. Within a minute, the program accesses your drive and begins looking for file types associated with data. It continues on to back up all those files to the Clickfree hard drive. That is all there is to it. At least, that is the way it worked with our computers. Notice I said “computers.” Plug the same Clickfree drive into another computer, and the Clickfree will back up the files it finds. Separately. Automatically. Do all the computers in your place. And, get this. With our Clickfree C2N, if you have a local network with a router, you can keep the Clickfree device on one computer, and the other computers will find it and back up according to a schedule you set. Subsequent backups take much less time as only the newly changed files are backed up. Now there is no excuse for not backing up your computers. You just need to get a Clickfree and plug it in. We got our unit from our friends at TechnoRV. They they are wonderful folks who have some really cool products at good prices and offer knowledgeable support. 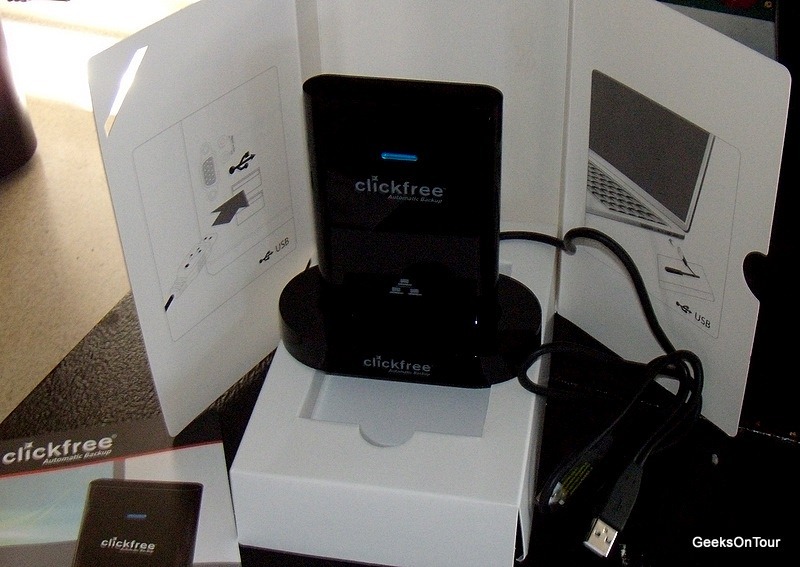 The Clickfree comes in several capacities and prices, so you can choose the one that fits your needs. Ours is a 640GB C2N. We really like it. 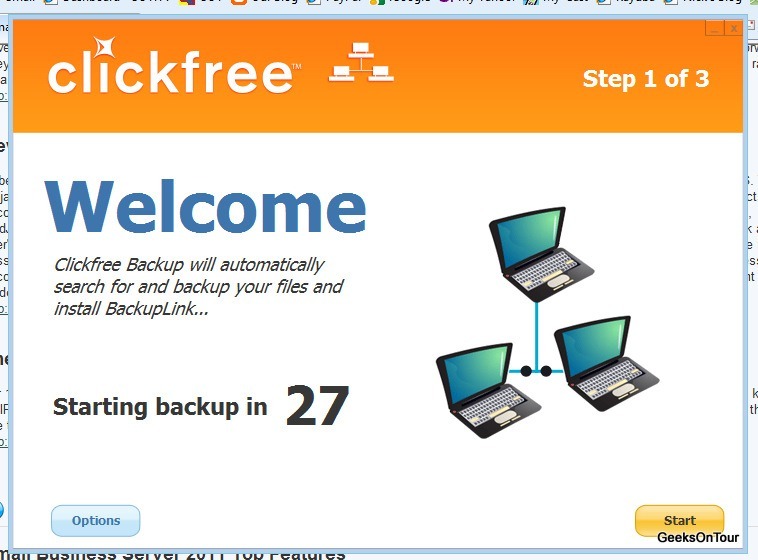 We can all agree that Clickfree makes backing up easy, but what about restoring files when you need them? The Clickfree software has a simple Restore button on the main menu, then you have a choice for Quick Restore – or Advanced Restore. Quick Restore will restore everything to the original locations. Advanced Restore allows you to specify which files you want to restore and where you want them. What if you lost the Clickfree software? The backed up files are available thru the Windows Explorer as well. This is something I really like in a backup system. If I have the hard drive, I have my files. Even if I’ve lost the software somehow along the line. You can browse the Clickfree drive. Do it now. Clickfree makes it easy.